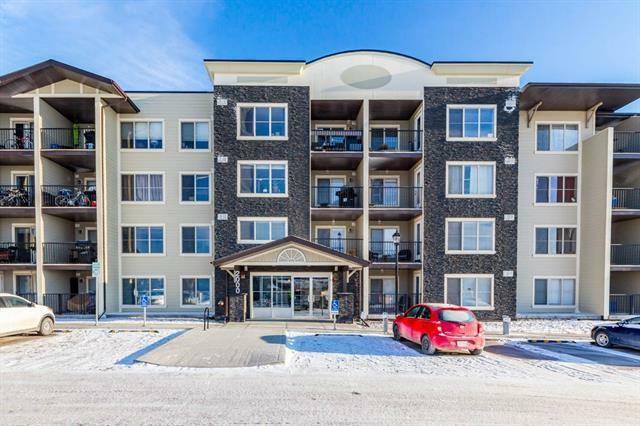 Terrific value in one of Cochrane's newest downtown condominium developments. 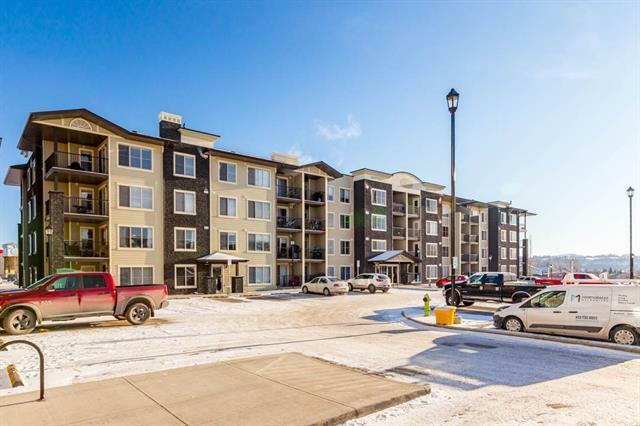 Located within walking distance of all amenities in our gorgeous little town; delivering expansive views of both downtown Cochrane and the Big Hill. 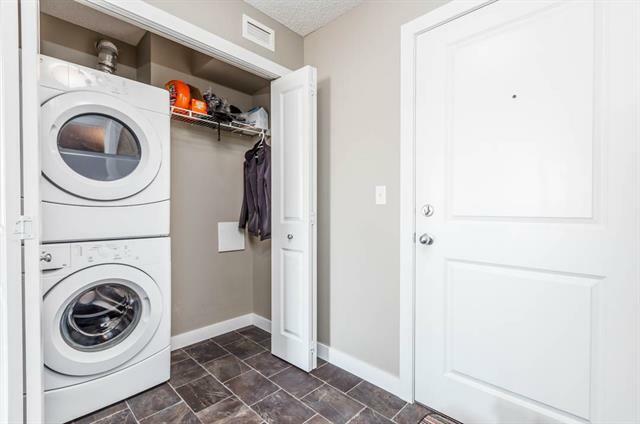 This 2 bedroom end unit offers in-suite laundry, full stainless steel appliance package, granite counter-tops, plenty of counter/cupboard/pantry space, large (4' X 9') in-suite storage room, cheater ensuite off master bedroom and private 9' X 9' deck. 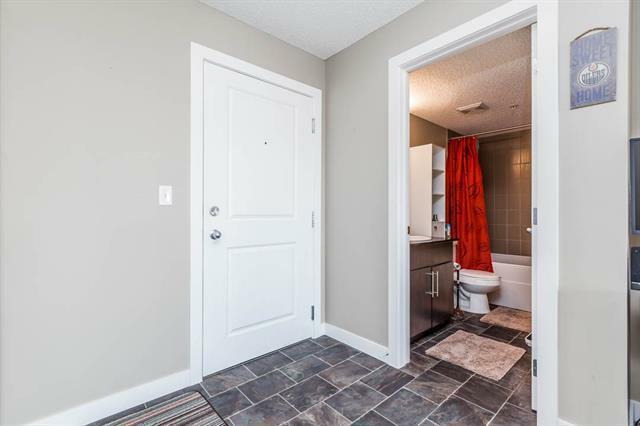 Assigned stall parking at front door, elevator and affordable condo fees (i.e. that include water/sewer) make this pet-friendly unit an ideal investment for all. Available for immediate possession.